Hemp oil may still be one of the lesser known plant-based oils but it’s popularity has been on the rise since marijuana legalization began to sweep the nation in recent years. In fact, hemp oil has been used since ancient times by medical practitioners to effectively treat many health ailments. Even so, it lost much of its significance as time passed because the oil comes from cannabis which has been “mostly” illegal for some time, and the rise of big pharma also swept hemp and many other amazing ancient medicinal plant medicines under the rug in favor of potent and PROFITABLE synthetic counterparts. But even though hemp oil is extracted from cannabis which is a widely popular “drug” known mostly for its psychoactive properties that gets a user high, hemp oil is taken from the hemp plant versus the marijuana plant, the latter which contains THC – the psychoactive compound. Research and study have actually successfully established that there are many different beneficial compounds in the cannabis plant with CBD and THC being the most popular and potent when it comes to medicinal value. CBD being derived from hemp which lacks a Federal Schedule 1 drug classification is one of the main reasons why hemp based CBD oil is more popular than oil extracted from marijuana. However, THC does also offer medicinal value that cannot be overlooked. This is why CBD oil extracted from marijuana is also hugely popular. In fact, many studies show that oil containing sufficient quantities of both CBD and THC offer even more medicinal value thanks to the entourage effect. At the end of the day, there is a plethora of firm evidence showing that both of these compounds (THC and CBD) offer real and effective medicinal value, so more people than ever are now open to gaining knowledge about hemp oil and its usefulness. Let’s take a closer look at what exactly hemp oil is and what its uses are. 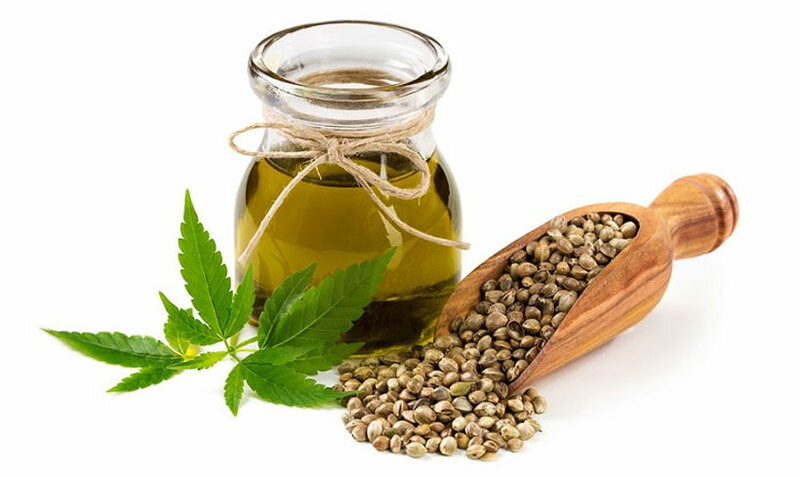 Hemp oil is a plant based oil mainly extracted from the seeds of the cannabis plant – Cannabis Sativa (Industrial Hemp). Hemp oil is used in a variety of ways but it is mostly known for its medicinal value, specifically from the CBD compound that it contains. The hemp plant is known to have only traces of THC which is why its legal in pretty much every state. This is also why when the question about where to buy hemp oil for pain comes up, you’ll usually hear about or be recommended products sourced from hemp because the oil that is extracted from industrial hemp does not contain more than 0.3% of THC – thus why it’s legal. Hemp oil majorly contains high amounts of CBD- a compound (cannabinoid) found in cannabis or hemp. The seeds of the hemp plant are known to have the least amount of THC too. This is why hemp oil is almost entirely extracted from the seeds. Though, you can also buy CBD oil- the oil that contains CBD extracted from different parts of the hemp plant, like the leaves, stalk, flowers, and seeds. When you look for information as to where to buy hemp oil for pain, make sure you first know whether you want to buy CBD oil or hemp oil. While both have CBD, hemp oil generally contains CBD in a higher concentration since the source is just the seeds of the hemp plant. CBD offers significant health benefits, which is why people use hemp oil. Here’s a list of common uses and benefits of hemp oil as a result of the CBD present in it. CBD interacts with certain receptors present in our body- known as cannabinoid receptors. These receptors play a significant role in managing pain and inflammation. Thus, when you take hemp oil for pain associated with conditions like arthritis, multiple sclerosis, etc., it can be reduced. Furthermore, CBD in hemp oil also prevents the formation of cytokines, thus bringing down inflammation. So, once you know where to buy hemp oil for pain from, you can be greatly benefitted by it. Hemp oil can also be of great help in reducing symptoms associated with mental health disorders, like anxiety, stress, and depression. It does so by regulating the production of serotonin as well as controlling the secretion of a few hormones related to these conditions. Hemp oil is quite popular for its neuroprotective properties. It can promote the regeneration of cells in the brain. As a result of this, people are less prone to developing memory-related disorders as they age. Hemp oil also helps in destroying free radicals and toxins in the cells, thus preventing oxidative stress. These days, it’s quite easy to find various cosmetics and skincare products that contain hemp oil as one of the ingredients. This is because hemp oil has a range of properties useful for the skin. It can reverse the effects of aging as well as prevent the formation of wrinkles and fine lines. It can also provide relief from swelling in skin disorders like eczema. Hemp oil is an amazing medicinal product, derived from an equally amazing medicinal plant. The benefits of hemp oil are many. Besides all the uses and benefits of hemp oil we’ve covered here, it can also be used as a daily supplement to help you maintain a balance in overall health. That said, it all depends on the dosage that you settle down for and the right kind of hemp oil. So, as you begin to use hemp oil in one of its many forms: capsules, topicals or edibles, make sure you customize the dose according to your personal need. One can only determine the right dose through a trial and error method and you should also speak with a specialist to learn more, preferably a medical marijuana doctor. On a final note, make sure you buy a quality hemp oil product from a brand that provides authentic lab results. This will ensure that you are getting a quality product. There are many products on the market and reputable brands will almost always publish their lab results. Boxers vs Briefs: What is Best for Men’s Fertility?